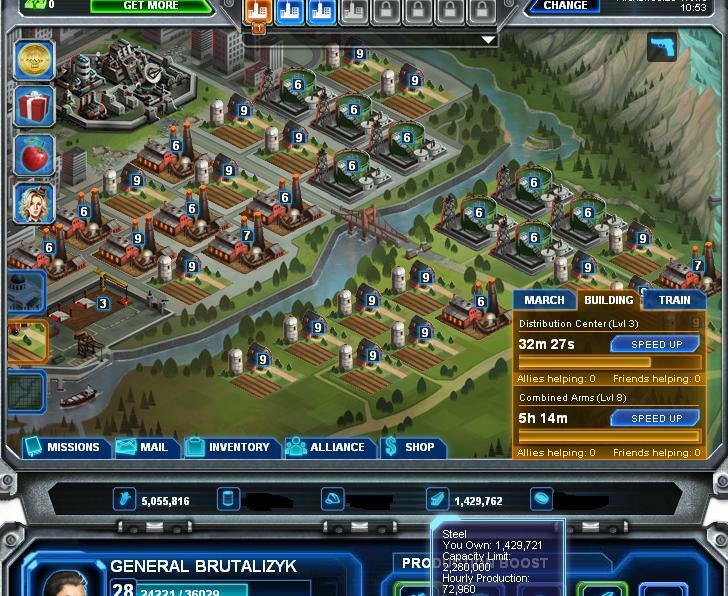 I prefer on the first city that you focus your fields to farms and steel mills(try upgrading this to lvl 9). When you’re still at low level build 6 oil wells(upgrade to lvl 6) and 3 quarries(upgrade to lvl 5) to support your oil and stone needs. Then make the rest of the field steel mills and farms. As you can see there are 6 oil wells w/c later I would start to demolish. When you already have your second city plan (which is easy to get because you will just add 5 friends then conquer a plain) focus your fields to oil wells and farms (try upgrading this to lvl 9). I would also prefer that you build 3 quarries (upgrade to lvl 5) to support your stone needs. Because of the petroleum lab which can boost your oil production up to 120% if level 10. 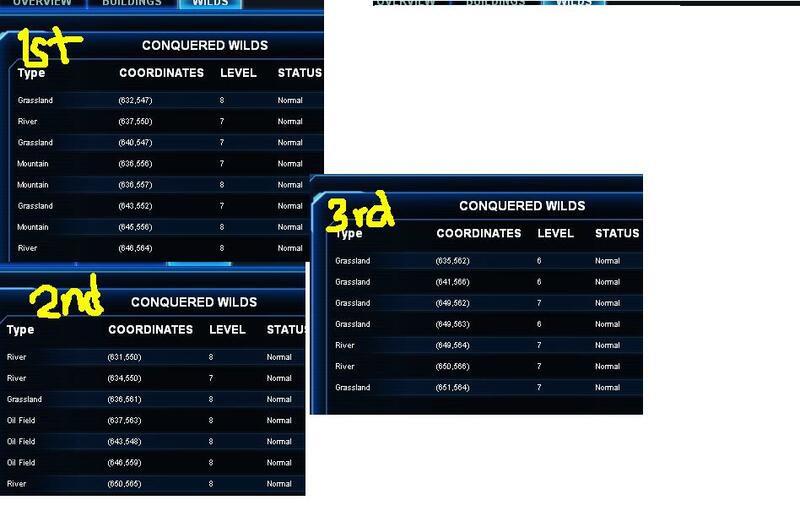 When you already have third city plan (which is not easy to get go to this link for guide : http://community.kabam.com/forums/sh…city-blueprint ) focus your fields to farms(try upgrading this to lvl 9) and build up 10 quarries(try upgrading this to level 6) trust me when you’re already upgrading high level buildings it requires a big sum of stone. 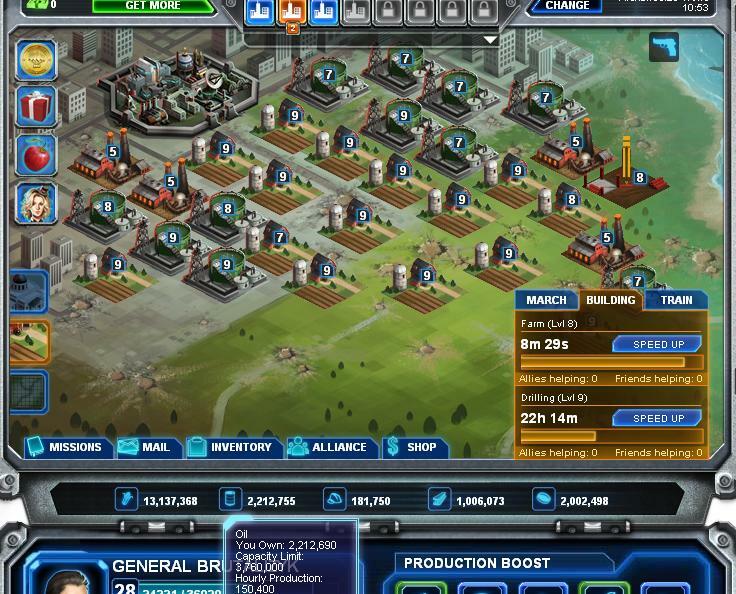 Because of the greenhouse which can boost your food production up to 120% if level 10 and also you need a city that has a very high food production so that you can support the upkeep of your troops. We are not yet finished! capture high level (6-9) wilds that can boost your resources. It really helps. Global warfare is a good game to play especially for intellectually blessed people. 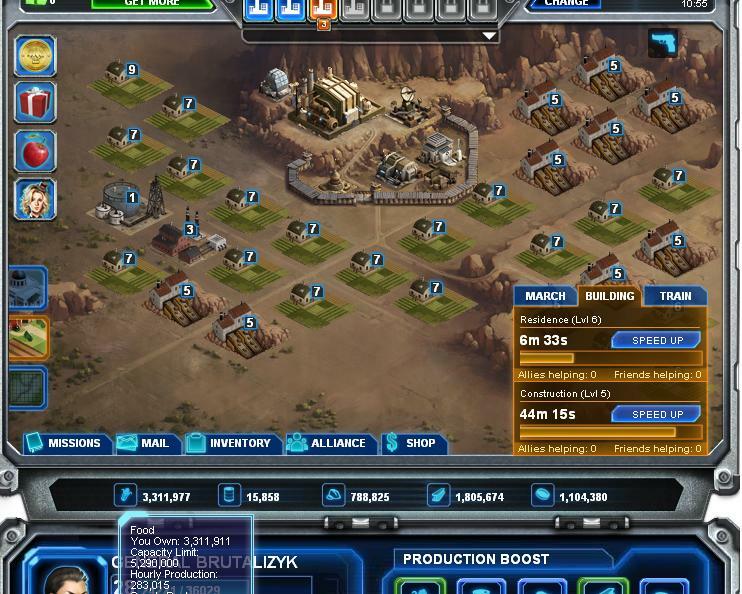 The most important thing you must make first to be a dominating player is to build up your fields so that you will have no problem on your resources which can give you resources to build up you troops and defenses.